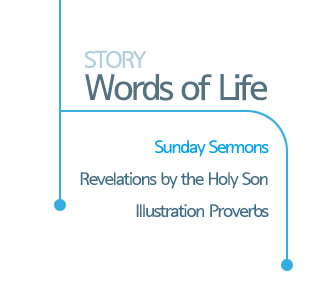 Sunday Sermons > If you achieve completion, it is Heaven. If you achieve completion, it is Heaven. On him God the Father has placed his seal of approval. the fiery love of the Holy Spirit, and the inspiration, movement, and works of the Word fill you in abundance. Even in the [physical] world, if you ‘complete’ [things/yourself], it is Heaven. If you ‘complete’ yourself also, it is Heaven. Even with written words, if you write them with a purpose and ‘complete’ them, it is Heaven. Also, with the house that you will use, if it is ‘completed,’ it is Heaven. From then on, you can just use your house while managing it for the rest of your life. Then it is Heaven. God created heaven and earth. He ‘completed’ them. He made the Sun, the Moon, the stars, and He made the Earth and ‘completed’ them. Therefore, the Earth is ‘the visible Heaven.’ If those who use it use [the Earth] in a good way, it is Heaven. it becomes Heaven and every time you look at them, you will live in happiness. Even if [something] is hard, it is comfortable if you ‘complete’ [it]. With all art works they are difficult [to make them], but as long as they are ‘completed,’ it is Heaven. You can enter Heaven only if you make and ‘complete’ yourself, whether in a big or small way. An incomplete spirit, whether in a big way or small way, cannot enter Heaven. 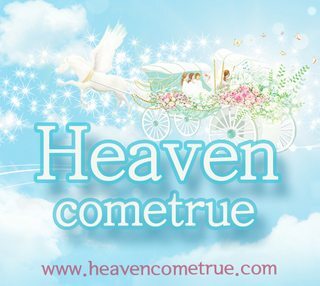 Heaven is ‘a world where everything is complete.’ Therefore, [they] live with eternal joy and love. You also need to be ‘complete.’ Then you can use [yourself] like Heaven. You have to take action ‘perfectly’ in order for [your life] to be a life of Heaven. Also, with the shape of the body, it is made according to how you exercise. only if you exercise hundreds of thousands of times for a long period. Your spirit also gets made to be more beautiful as your body takes action righteously. that will help you maintain the line of your muscles at the basic [level]. Once you lose the basic [amount of] muscle, you have to start exercising multiple folds from then on. you will need to do multiple folds [more] than usual in order to make up for [what you lost]. exercising everyday is the best method. ‘taking action everyday’ is the best method. listening to the Word and taking action everyday, praising everyday, and managing everyday. Taking action persistently everyday is better than doing a lot all at once. People keep running after getting up in the morning, so they go ahead of the clock. But since they have to sleep at night, they take a 4-7-hour rest, so the clock goes ahead again. it always moves faster than people. you will realize how much doing something consistently yields a lot of action! you don’t know where they will stop again. Therefore, they are unsafe. ‘A person who does things consistently’ achieves completion. so those who see it frown with their faces and hearts. Fruits also have to grow and be completed. Only then are they beautiful, eye-catching, and appetizing. The same is true with faith, personality, wisdom, thoughts, deeds, and ability. God is a complete being who does not change forever. However, human beings are beings who change. Human beings have to ‘complete’ themselves in order not to change. only if they achieve the ‘completion of the spirit’ through the body. takes action, and achieves the completion of the spirit, it will not change. Your body should sacrifice, work hard, and live for your spirit. Then it will be eternally valuable, and that sacrifice and your hard work will not be wasted. I hope that you challenge yourself for completion every day strongly and consistently! so you can ultimately ‘complete’ yourself.